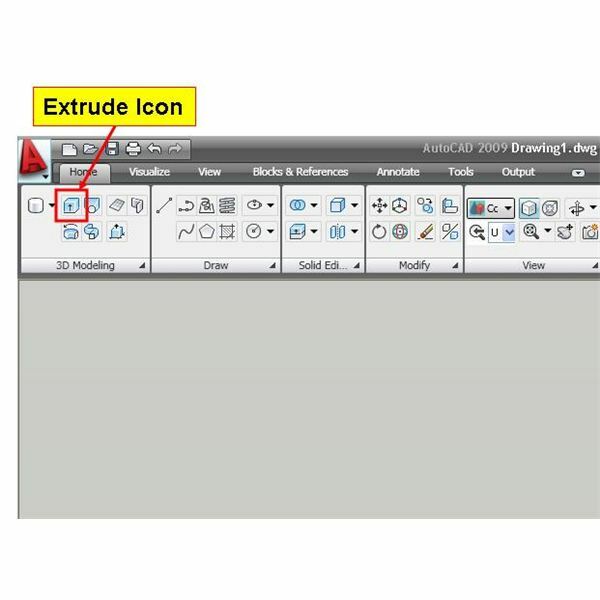 Extrude is the most basic and most important operation for any 3D CAD packages. 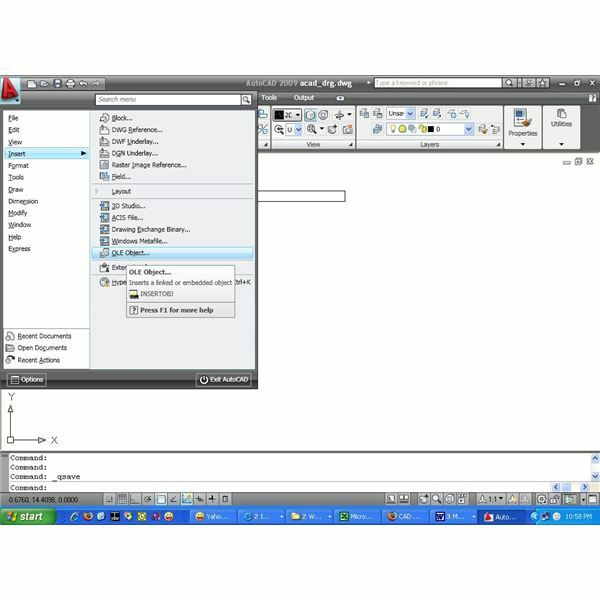 You can now think of using AutoCAD 2009 for the 3D extrude creation. Though, the 3D extrude operation in AutoCAD 2009 is not that user friendly like inventor or ProE, but still it is improved a lot from the older version of AutoCAD. Click on the 3D Modeling option there. 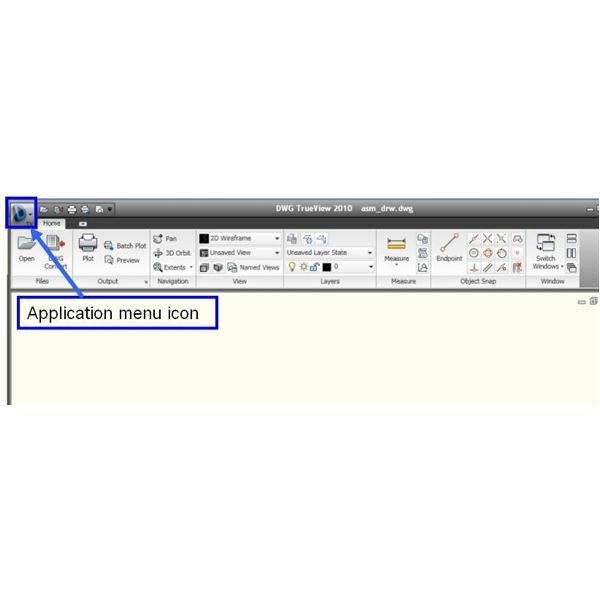 You will see that the GUI will change to incorporate all the 3D modeling icons. 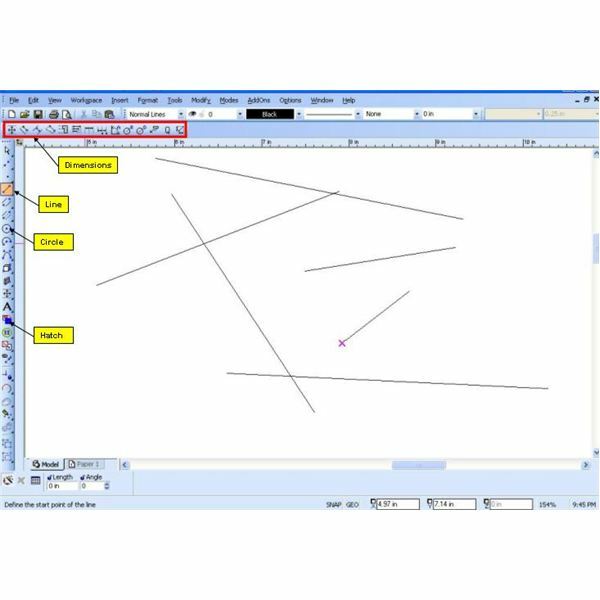 Now change the visual style of AutoCAD in order to ensure proper display of the 3D geometric objects. For that go to Menu Browser > View >Visual Style> Conceptual. Now you are ready to create the 3D extrude and other 3D features. Also assume that, the size of each sides of the cross section of the bottom column is 5mm X 5mm and the diameter of the top column is 4 mm. 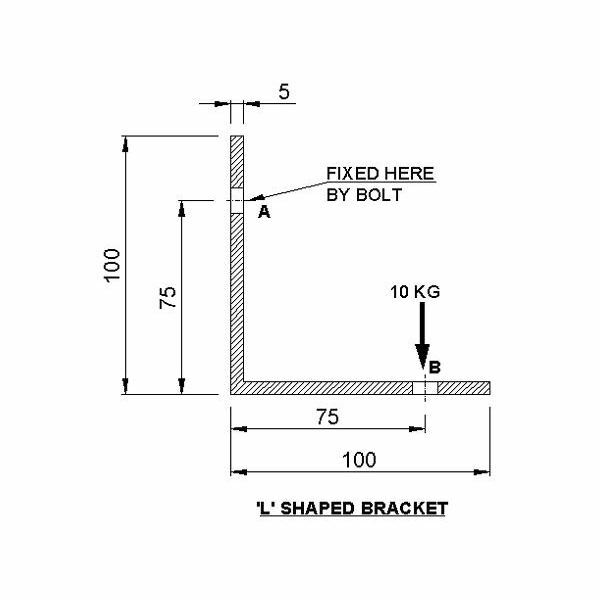 Draw a square of 5mm X 5mm for creating the cross section of the bottom column. It will ask for “Select Objects to Extrude”, you select the 5mm X 5mm rectangle, you just created. And press Enter. Next you have to specify the height by which you want the square section to be extruded. Type 30 and press Enter. 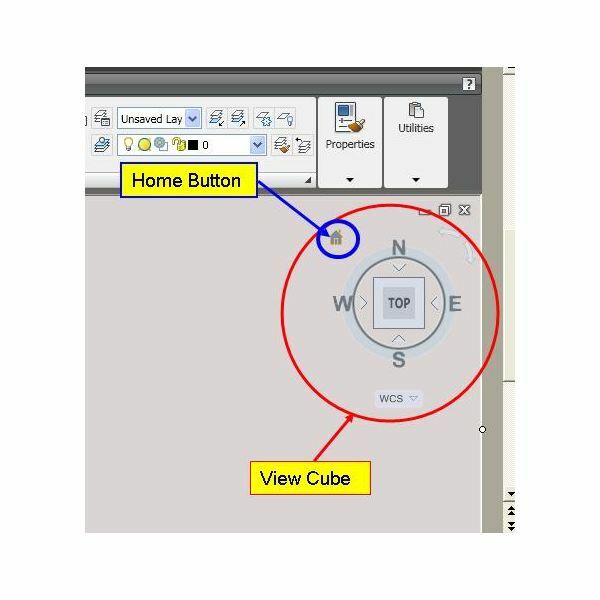 After clicking the Home button you will see the model in isometric view. 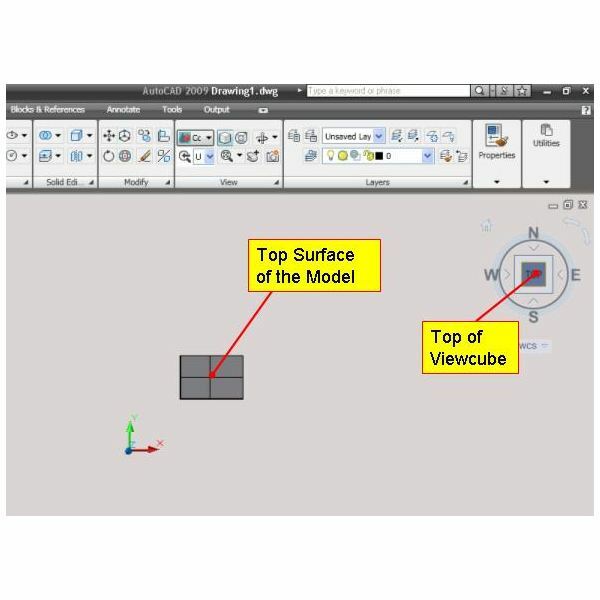 Now you need to create the circular sketch at the top surface of the bottom column for creating the top portion of the model. 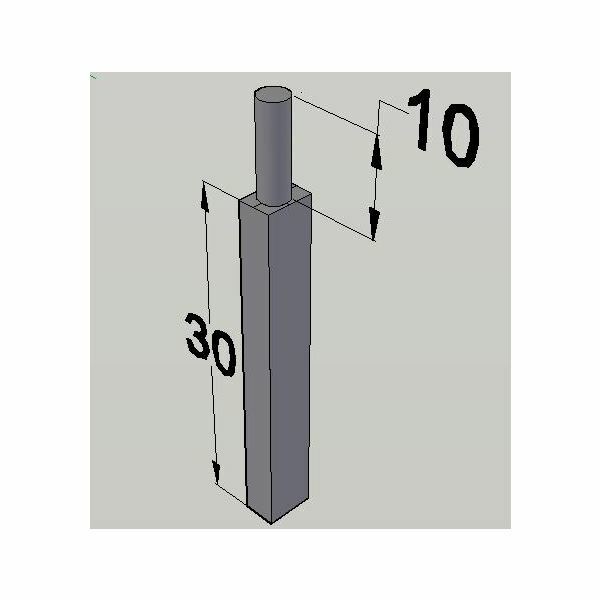 For that, you need to define the top surface of the column as XY plane by moving the universal coordinate system (UCS) to the top surface. 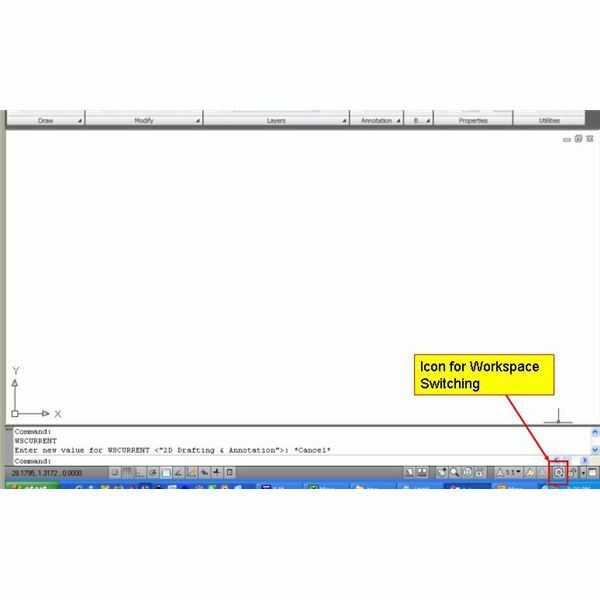 Now, type ucs at the command prompt of AutoCAD for moving the co-ordinate, it will ask for the origin. Select the bottom left corner point of the rectangle. 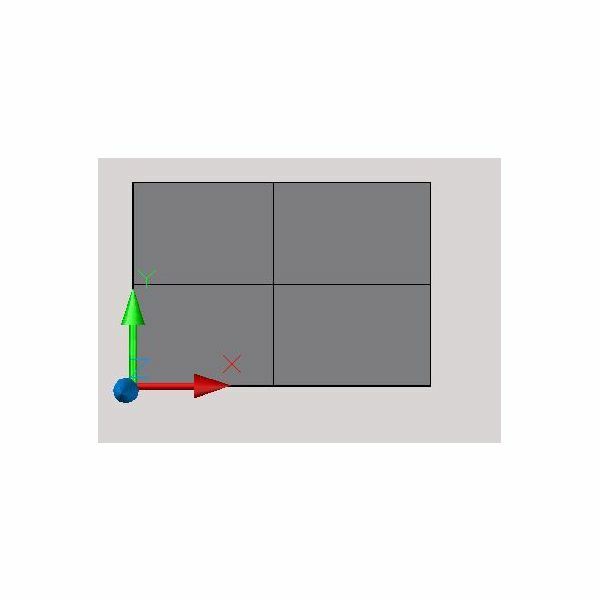 Now, you will see it will ask for point on X axis, click on the bottom right corner point of the rectangle. Now create the circle at the centre, you can use the midpoint snaps and draw two lines as shown above for finding out the centre. Next, press the extrude icon and use the circle for extruding by 10mm. And, your model is ready. 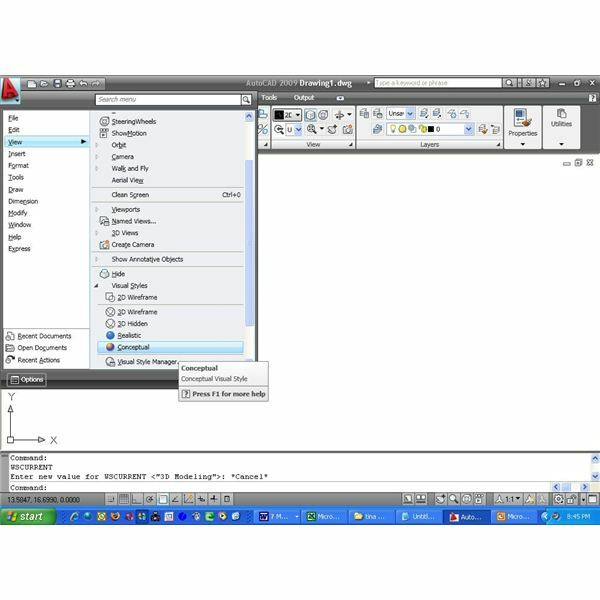 AutoCAD 3D extrude is very useful for creating 3D model using AutoCAD. 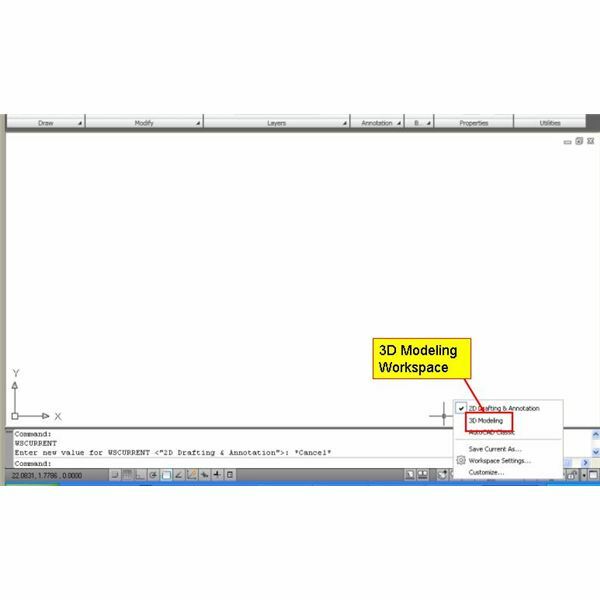 Though AutoCAD 3D models are not parametric but still you can use it for creating presentation models.